Cosmetic Dentistry Explained - Improve Your Smile And Your Life! 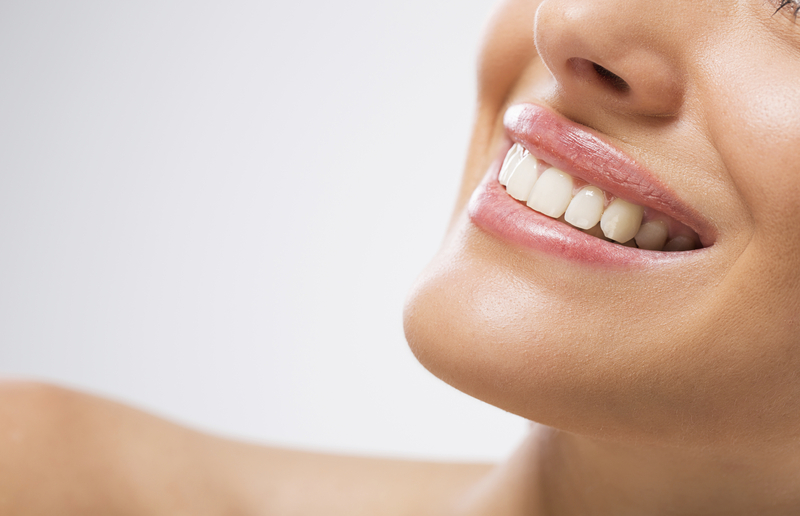 Smile your best smile with the help of cosmetic dentistry. Learn more about what a smile makeover can do for you! Many men and women are unaware of the impact a cosmetic dentist can have on transforming a person’s smile. A cosmetic dentist focuses on giving patients an aesthetically pleasing smile, while still maintaining a natural appearance. This can be accomplished by utilizing one or more personalized treatments to help obtain your aesthetic goals. The experienced cosmetic dentists with Weller Dental in Hinsdale and Chicago, IL strive to provide patients with their best smile possible. More and more men and women in the Chicago area are turning to dentists trained in the area of cosmetic dentistry to get the look and smile they desire. Why should I seek treatment from a cosmetic dentist? If you’re concerned with your smile and how you may be perceived by others then now is a great time to consider visiting a cosmetic dentist for professional advice. Cosmetic dentists can resolve issues such as gaps between teeth, provide treatments that can correct stained or discolored teeth, and repair issues with cracked or broken teeth. In addition to correcting these issues, a cosmetic dentist will also help make your teeth look straighter, whiter, and more even, as well as ensure that the results appear natural and blend with the natural harmony of your facial structure. Regardless of what dental issues are plaguing you, know that a cosmetic dentist has the skills and expertise necessary to help you obtain a healthy smile and grin you’ve always wanted. What does a smile makeover involve? A smile makeover involves two or more cosmetic dentistry procedures that can ultimately provide dramatic, long-lasting effects. Some of the treatments offered in a smile makeover include dental bonding and contouring, teeth straightening, and replacing worn fillings with tooth-colored fillings. In some cases, something as simple as a teeth whitening procedure can make a dramatic difference. Chicago area patients who are looking for a complete cosmetic overhaul may be great candidates for porcelain veneers, which can offer a lasting, gorgeous result. Smile makeovers are increasingly popular as the benefits literally speak for themselves the very second you open your mouth. Not all patients have the same dental needs, so your cosmetic dentist will be able to give you a better idea of which treatments or procedures can provide you with the best results. An experienced cosmetic dentist will be able to evaluate your concerns and create a unique approach to attain the right outcome. Some patients may not be in need of a major procedure such as veneers, but could simply benefit from one or two treatments such as Invisalign or teeth whitening. Your custom cosmetic dental treatment plan will outline which treatments you will need and what to expect with each phase. Before any cosmetic work is performed to your teeth, it is important that you have a clean bill of oral health so that any underlying issues that exist can be treated first. At our Hinsdale, IL dental practice, our first course of action is to do a full dental exam to check your teeth and gums and make sure you do not have any signs of gum disease, cavities, cracked teeth, or other issues. This may be the first step in the treatment plan so that we can ensure a healthy smile before we focus on aesthetics. Once you’ve spent the time and money on improving your smile, it’s important that you continue to treat your teeth with the care and respect they deserve. Brushing and flossing is always a good start to maintaining your results, as well as visiting your dentist twice a year for cleanings and examinations. Staying on top of your routine dental appointments allows your dentist to identify any potential issues and get a jumpstart on treatment. If you have undergone a teeth whitening procedure it’s important to note that smoking cigarettes and drinking dark beverages such as coffee or red wine can have an impact on results. Your dentist will provide you with additional information on how to keep your teeth looking good for years to come. So many of our Chicago area patients have stated that they wish they’d seen a cosmetic dentist sooner and had their issues treated earlier. They knew these procedures would change their lives, but they didn’t realize how much of an effect it would have on their lives until after they had undergone the treatments. Patients have reported a boost in their level of self confidence and self-esteem, and they no longer feel insecure about speaking in front of others or smiling for pictures. A new smile has greatly influenced both their personal and professional lives, and can do the same for you. If you’d like to learn more about the cosmetic dental procedures available to you then please call our Chicago area dental office to setup a personal consultation. This consultation is the first step to understanding what your needs really are and what it will take to attain your smile goals. One of our highly-skilled cosmetic dentists will meet with you to determine your dental needs and a personalized treatment plan will then be discussed. Remember to come to your appointment knowing ahead of time what you do not like about your smile and what you wish to change. Feel ready to ask the right questions so your dentist can discuss the necessary treatments and recommendations with you. You no longer need to hide behind your smile or be concerned with what others may think of you. The staff at Weller Dental in Hinsdale, IL looks forward to working with you and providing you with multiple reasons to smile. Contact us today to see why so many patients are turning to innovative dental treatments to meet their cosmetic needs.